The championship race in Ligue 1 was already decided before the season, because with super club Paris Saint-Germain, no other French team seems to be able to compete. To make it across the finish line and PSG is recognized as champions, the league leaders need a single point from the away game against Lille. The hosts from Lille are still in the fight for the direct starting place for the premier class. Olympique Lyon is a close follower of the “Doggen” from Lille and wants to do the homework on Friday evening. After the recent home defeat against Dijon, the team of Bruno Genesio is required at Nantes. Sit down the guests at Nantes vs Lyon through, a tip will be reimbursed with odds of 1.78. 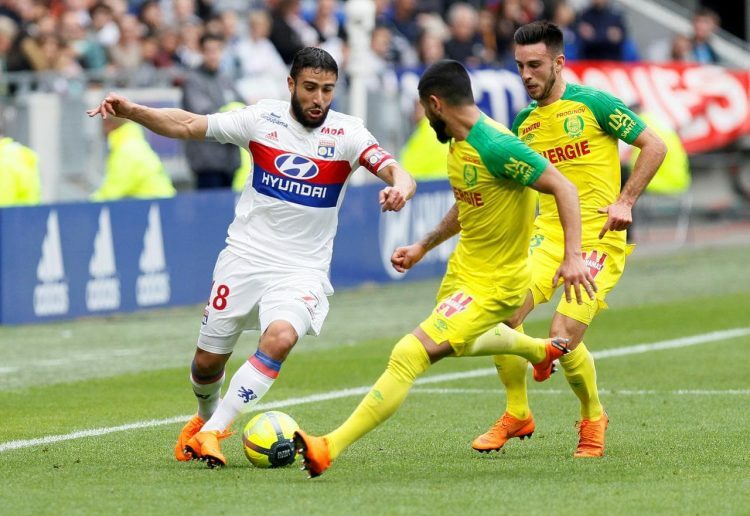 While the home side are in the fight for relegation, it is for Lyon to the direct Champions League starting position of Ligue 1 Nantes had recently suffered three defeats in a row and thus could not extend the cushion on the relegation zone. Seven points ahead of seven games left before the end of the season are certainly a comfortable cushion, but it still has to be defended. Lyon will be hungry for victory after their recent defeat by Dijon. With Olympique Lyon comes concentrated offensive power on Nantes. Will there be a prediction in favor of the guests at Nantes against Lyon? On Friday evening, the match of the two clubs at 20:45 clock in the Stade de la Beaujoire! For Nantes, Vahid Halilhodzic is only up for relegation in Ligue 1. The end of the season, with seven points ahead of a relegation place is not really in question. Already the last three Ligue 1 games were lost in a row. With a score of 8-7-15 Nantes currently occupies 15th place in the table. Most of the points could bring the team of Halilhodzic in front of home crowd. A total of 24 goals were scored in 14 home games. In the recent five home games, there was only one victory for Nantes. Most recently, Halilhodzic lost to second-placed Lille 2-3 despite being 2-0 ahead half an hour before the end of the game. A renewed dropout could put Nantes in an awkward position, especially as the remainder of the program is still facing some serious duels. In the second half, FC Nantes is Ligue 1’s second worst team. Just eight points were scored in the eleven rounds of the second half. At home, Halilhodzic and his team want to initiate the success trend and get some more cushion on the relegation zone. 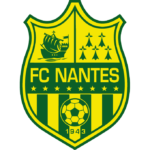 Excluding two games, Nantes scored in every home game of this competitive season. Olympique Lyon had a damper in the race for second place in the table. The supposedly easy home game against relegation candidate Dijon hailed a 1: 3 defeat. Despite their best line-up and an early lead, the guests from Dijon still managed the surprising success over Lyon. Thus, the team of Bruno Genesio could not exploit the blunder of OSC Lille and lags behind with five points behind the “Doggen” afterwards. The previous season was not bad for Lyon. Nationally and internationally, the Genesio-Eleven could certainly provide for considerable games. In the Champions League was against the overwhelming power from Barcelona’s last stop and in the domestic league will probably be the right to start for the Champions League secured. 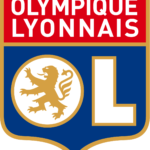 As third placed Olympique Lyon but want to escape the qualification and therefore sets the second place in the table as a goal. In seven upcoming games, it will be a tough fight against the “Doggen” from Lille. Losses like those on the last matchday, Lyon can no longer afford at the moment. Lille will meet PSG this matchday. Thus, Lyon would again have the opportunity to reduce the backlog. With a total of 52 goals scored in 31 games Lyon is behind PSG, the strongest offensive team in Ligue 1. Away the performance of Lyon did not always look sovereign, but Bruno Genesio was able to remain unbeaten in 13 away games (cross-competition). After the defeats at national level and the bitter bankruptcy at FC Barcelona, ​​the series is gone. In the offensive Lyon can show a concentrated power. Nabil Fekir is the most valuable actor in the Lyon squad. In addition to a great deal of individual quality, Bruno Genesio makes use primarily of a well-rehearsed lineup. Summer newcomers like Ndombélé have quickly adapted to the Genesio system. Lyon does not have much room for error and has to find it at the end of the season. After the bitter defeat against a relegation candidate, the Genesio Elf at Nantes may not allow another misfire. If the opportunities are better exploited, should be paid at Nantes vs Lyon quite a tip on the guests. With Tete, Mendy and Denayer Genesio will be missing three players in the away game against Nantes. Nantes and Lyon will clash 93 times in their club history. Nantes leads the direct comparison with a balance of 39-22-31. The first leg of the season ended in a 1-1 draw. In November 2016 Lyon missed the hosts from Nantes a bitter 0-6 defeat and thus also recorded the highest victory in the duels between the two clubs. The home game between Nantes and Lyon ended last year with a goalless draw. A goalless draw is unlikely this time due to Lyon’s strong offensive. Lyon is still in the running for a direct starting place for the premier class. Having lost the chance to minimize Lille’s cushion, Lyon could once again have the opportunity to reduce the deficit on the day of the match. Lille will face league leaders PSG. There is no room for error in the away game of Lyon in Nantes. With a concentrated offensive, the Genesio team will do their utmost to make a comfortable win. Meanwhile, Nantes have lost three games in a row and will probably go deeper into the crisis with the next defeat. ⭐️ Nantes has lost the last three league games in series. ⭐️ Lyon have the strongest offense behind league leaders PSG with 52 goals. ⭐️ With a victory over Nantes Lyon can reduce the gap to Lille to two points. Much speaks for a point win from Nantes over Lyon not. The home side lost a comfortable lead in the last home game against Lille and lost in the end. With Olympique Lyon, there comes a very different caliber to the Halilhodzic Elf. We think Lyon will not have much of a problem with Nantes and win a sovereign away win.